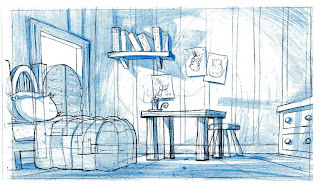 Here is the pencil drawing for a Frankensteins Cat background. This is the reference copy given to the colourists from the BG artist. It is to show how it should all look put together as the BG artist gives all the elements to the colourist separately with a nice clean line ready for colouring. This is also to indicate how the shadows should work by the blue shadeing. 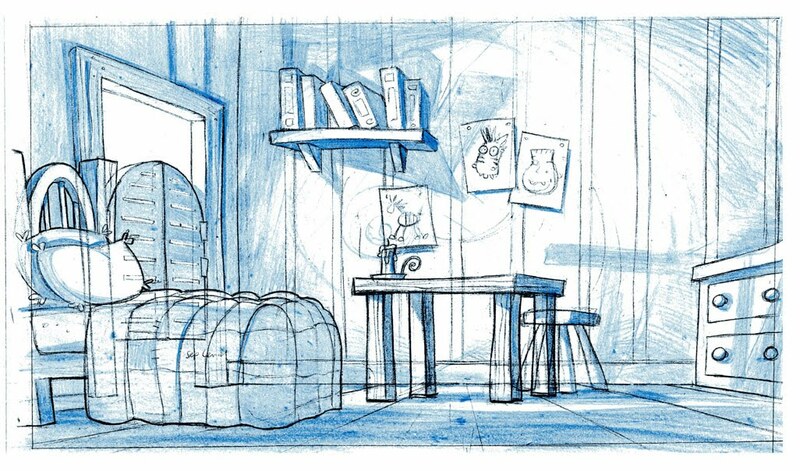 The bed, table, stool, candle and doors are all a separate drawings to allow the animation of the characters to be put behind them or to be replaced by animation of the doors opening for example. I will post the finished BG soon.